Personalised Engraved 6 Piece Shoe Care Kit. 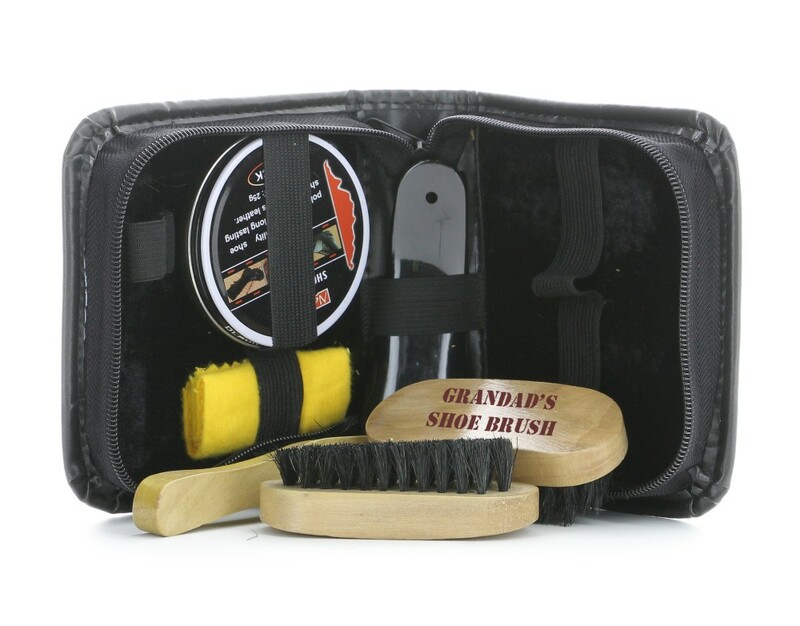 This fantastic kit comprises of 40g Black Shoe Polish, Buffing Cloths, Rectangular Handled Head Brush, 2 x Oval Polishing Brushes, Shoe Lift and presented in a faux leather zip case. Personalise each of the oval polishing brushes, your text will be laser engraved into the wooden part of each brush. You can have the same or different text on each. Perfect unique gifts for Father's Day, Mother's Day, Retirement, Christmas, Birthday's....it's endless!